Along with the plants of Baja, we checked out the missions down there. 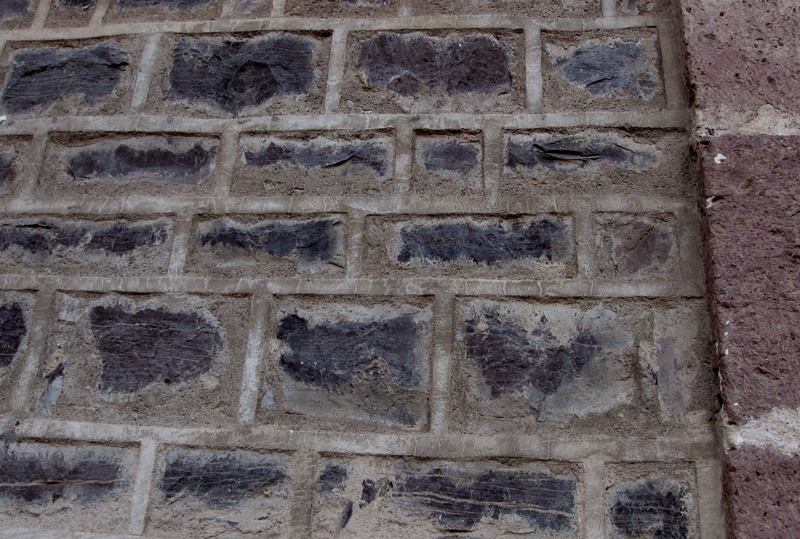 Pretty interesting, with more varied stonework than I expected. My knowledge of California missions is mostly based on some half-remembered grade school field trips, but the basic outline is this: the Jesuits established most of the Baja missions, starting in 1697 at Loreto. They were expelled by the king of Spain in 1768, and the Franciscans briefly took over, but then the Franciscans were sent up into Alta California to found the missions up here, and the Dominicans took over the Baja missions. 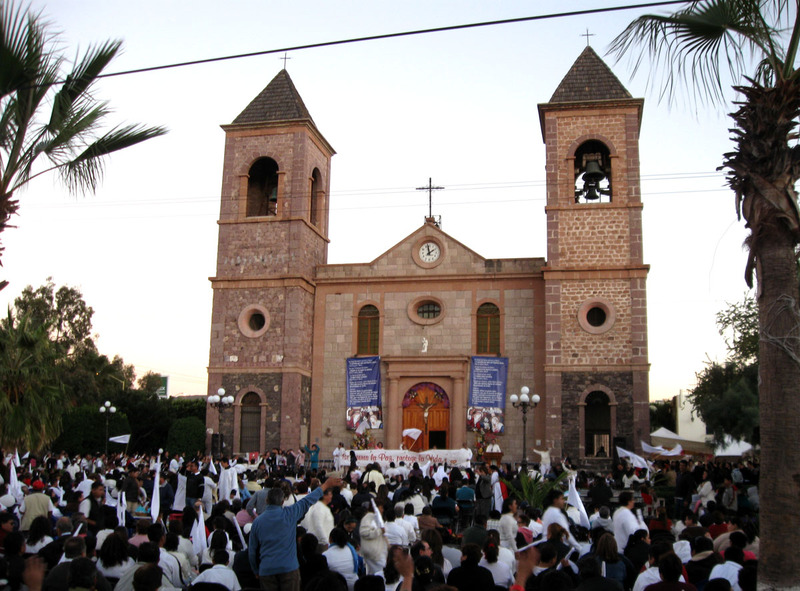 The indigenous people of Baja took a massive hit during the missionary age, with 90% of the population or more dying from European diseases, so there weren’t enough people to keep many of them going, and most were abandoned in the early to mid 1800’s, with the rest taken over by the main Catholic church. A lot of them are in ruins; a few are in use. The La Paz mission is one of the ones still in use, though it’s not the original building. It was established in 1720 and closed in 1749, and the current building was built much more recently. Surfing the Spanish google, I found a video with photos of the towers (with Edelweiss as the soundtrack) under construction in the 1920’s, so that might be an approximate construction date. There was an outdoor mass underway when I visited and I got a chance to climb up to the top of one of the towers. Nice views of the town. 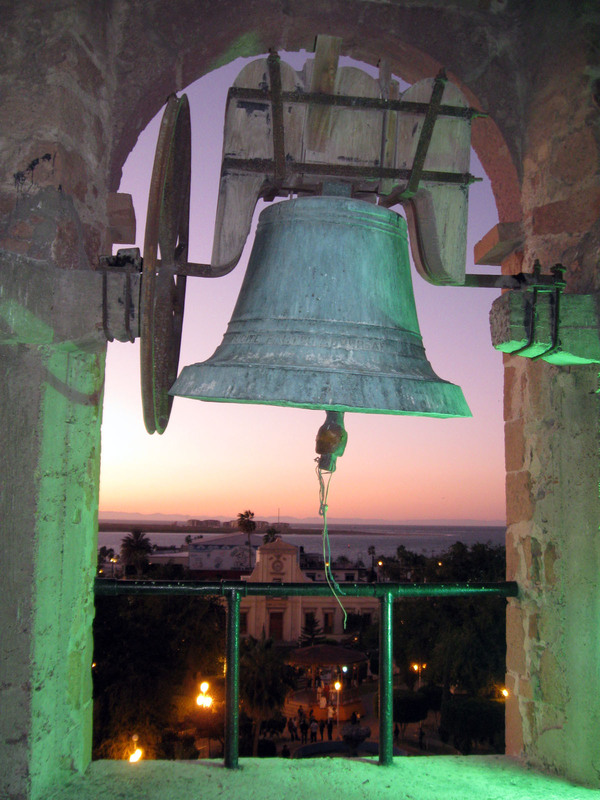 I resisted the temptation to ring the bell, which was good, because one of the church officials eventually noticed the gringo up in the bell tower and was somewhat horrified I had been let up there. 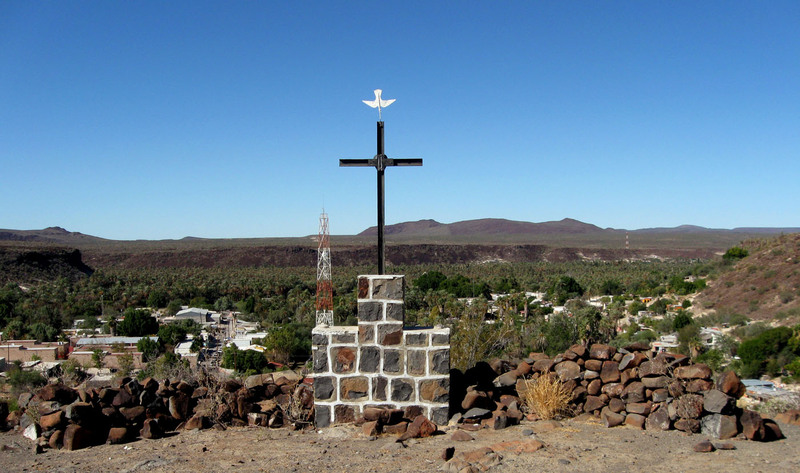 We also checked out the missions at Mulege, Loreto, and San Ignacio. I started to upload photos from them, but decided to put them in separate posts which I should have up shortly. 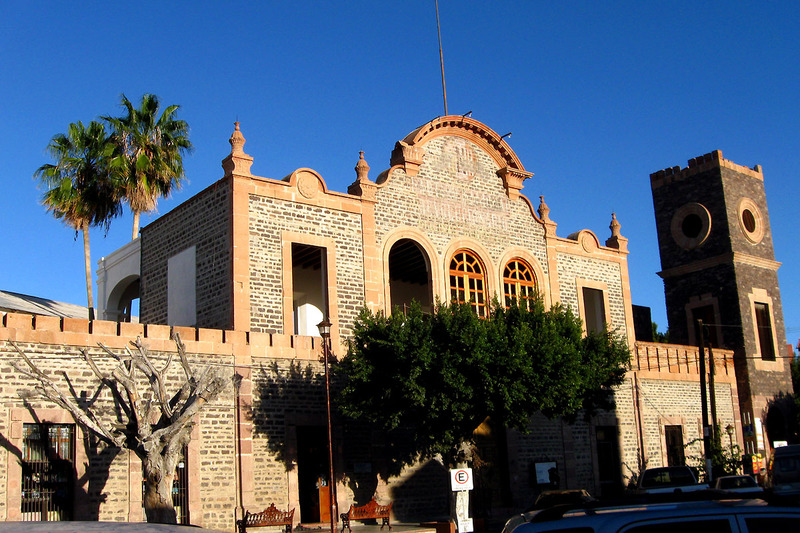 Photos of another historic building in La Paz and the mission in San Jose del Cabo (built in 1940) are below. One of the other historic buildings in town has an interesting rope joint I haven’t seen before, designed to take irregular stone and make it look like bricks. Up close it looks as if the masons just smeared mortar over the stone and then tried to dress it up, but it’s pretty effective from a distance. I saw that type of joint used few other times in Baja. 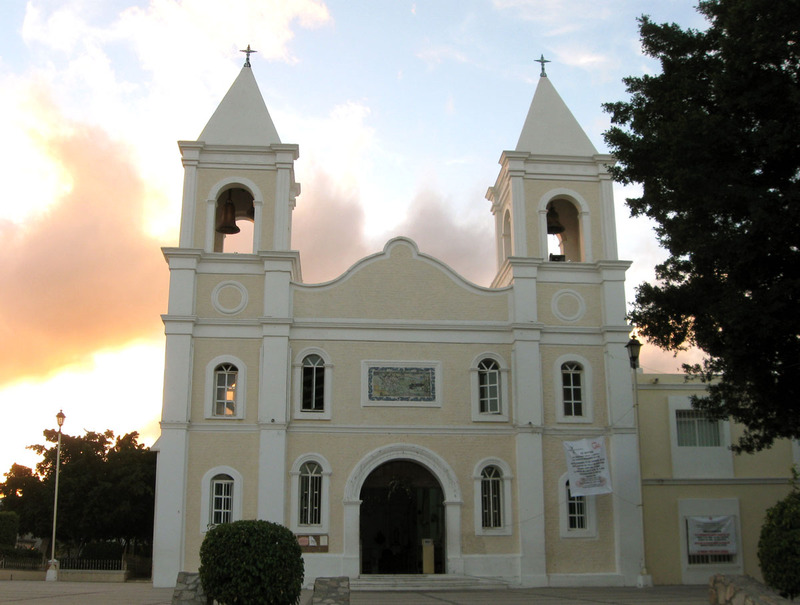 The church at San Jose del Cabo is built near the site of the original mission. 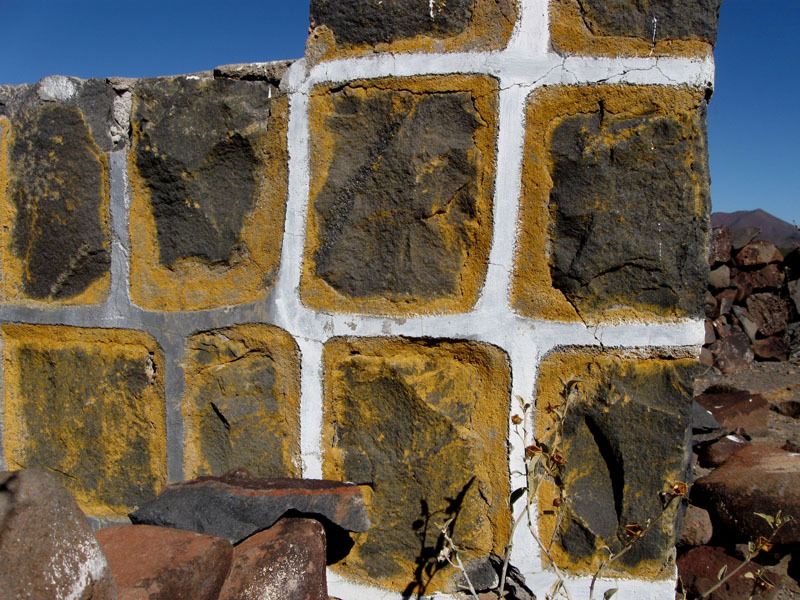 The Baja government site tells more about the history of the mission with a photo of the ruins of an earlier building and a cool painting of the mission. This entry was posted on Saturday, February 6th, 2010 at 3:03 pm and is filed under historic, stone. You can follow any responses to this entry through the RSS 2.0 feed. You can leave a response, or trackback from your own site. Si, como no, use lo que quiere.